This stair carpet runner is made using a needlepunch technique. Needlepunch is a manufacturing process that involves lots of short staple fibres being stuck together whilst punched with a barbed needle, hence the name needlepunched. Typically, this type of carpet is used in offices, schools, airports etc. This runner has very little that can go wrong with it, it won't pull or snag, nor will it tread down or flatten. 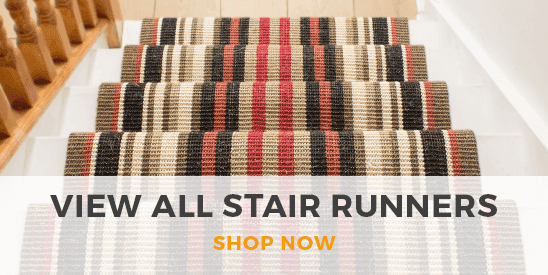 The pile of this carpet runner is extremely durable and will not flatten down. Due to the cleverly woven construction of this pile, the runner is great for pets and is pretty much indestructible. It has been classified as a heavy domestic product, this means that it is suitable in high traffic areas, especially the staircase. 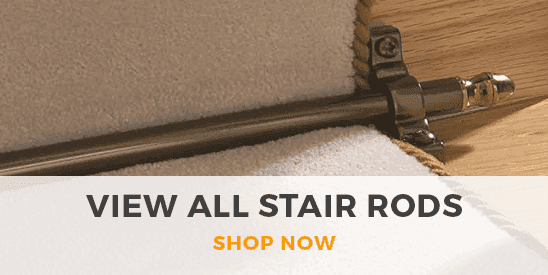 This stair runner has a latex, gel backing, which means that it is non-slip and will not move on hard flooring such as Wood, Vinyl or Ceramic tiles. The runner is anti-slip on carpet, but the effectiveness depends on the thickness of the carpet it is sat on. The thicker the carpet, the less effective it will be. Whilst being anti-slip, the backing is also 100% waterproof and rot proof. This ensures that the carpet will not shrink or wrinkle once it dries out from being wet. The texture of this carpet is fairly coarse, it has a firm feel and offers minimal comfort. This product is not made to be luxurious, it is made to be very durable, practical & low maintenance. The carpet is made using a fibre called Polypropylene. Polypropylene is a man-made fibre that has fantastic properties and advantages. This carpet is 100% bleach proof and stain resistant. It also has resistance to fading from the UV sunlight. It is anti-static and moth proof. The product has a low radius of ignition and has been hot nut tested to comply with British standards (BS 4790). This is the most indestructible man-made gel back carpet runner that we sell at Carpet Runners. If you want a low maintenance product that will look great and will last for many years then this is the product for you. How much carpet do I need? All you need to do is measure the height of one of the risers, then measure the depth of one of the treads. Then add these two measurements together, multiplied by how many steps you have. Then to make sure that you have enough, add 10%. On average, each tread and riser combined is about 1ft 6in (45cm), so if you had 13 steps, then it would be 13 x 1ft 6in (45cm) = 19ft 6in (585cm). Then add 10% to this and you would need to order a total of 21ft (650cm). If you would like some help calculating what you need then please get in touch with us.